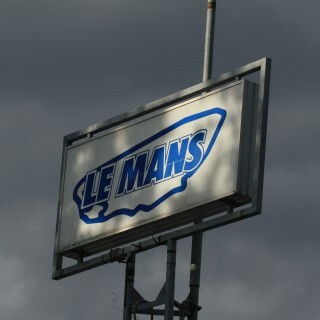 Is the Porsche 917 the greatest ever Le Mans car? 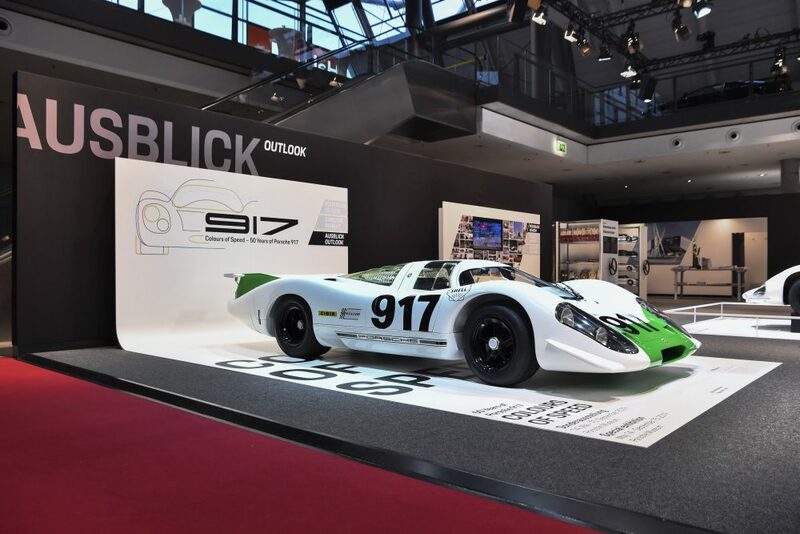 If you think it is, then don’t forget to wish it happy 50th birthday… and maybe you’ll want to visit the celebratory “Colours of Speed—50 Years of the 917” special exhibition at the Porsche Museum in Stuttgart, which runs from 14 May to 15 September 2019. 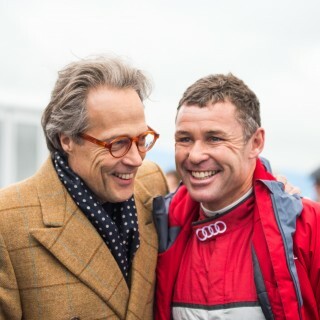 The display will include ten 917 models, which alone have a combined output of 7688hp, along with a selection of racing posters and small technical exhibits. 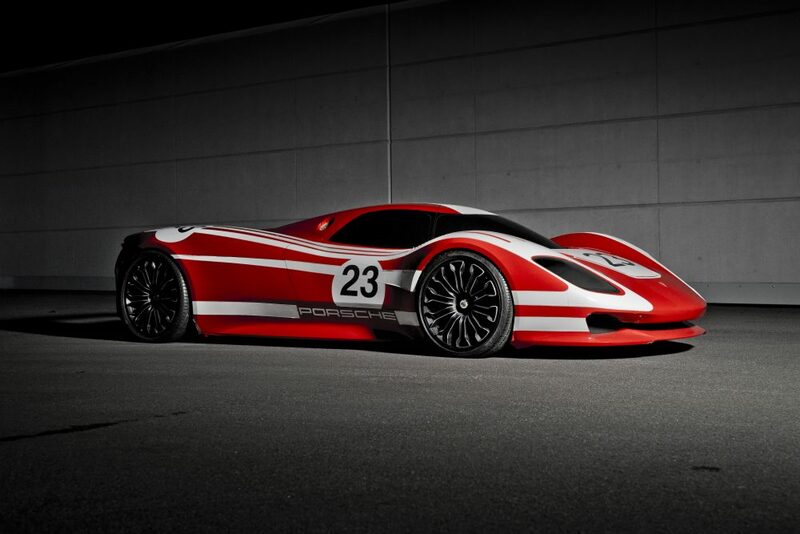 There will also be a 917 concept study (below right), created as a homage to the first Le Mans victory of 1970, and never previously shown in public. 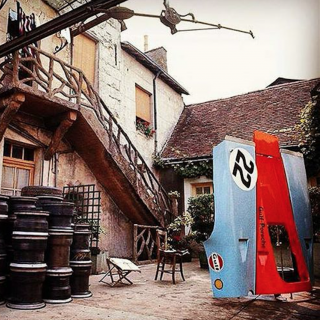 And of course in true “exit via the gift shop” fashion, the museum shop will also offer a selection of 917 products for sale, including a pink barbecue apron inspired by the unique 1971“Pink Pig” 917/20. 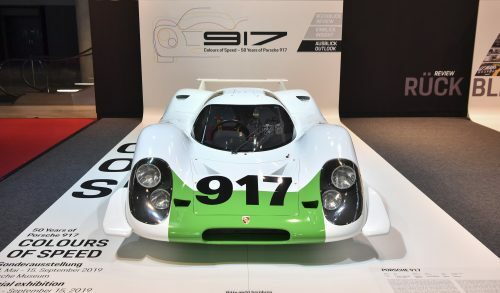 The star of the exhibition will be the first example ever made, 917-001 (above left), which has been restored by the museum to its original condition, ready for the 50th anniversary. It’s shown here at the Retro Classics show in Stuttgart. 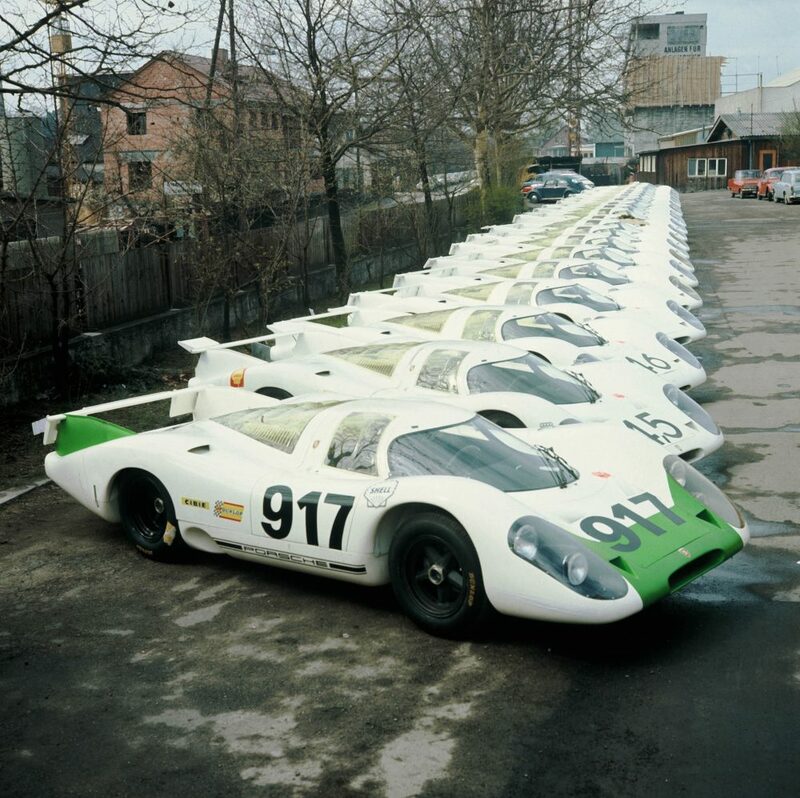 It was the first of the 25 Porsche 917s that had to be made to meet the requirement for type approval, and it made its debut at the Geneva Motor Show on 12 March 1969 wearing bodywork in white with a green front section. 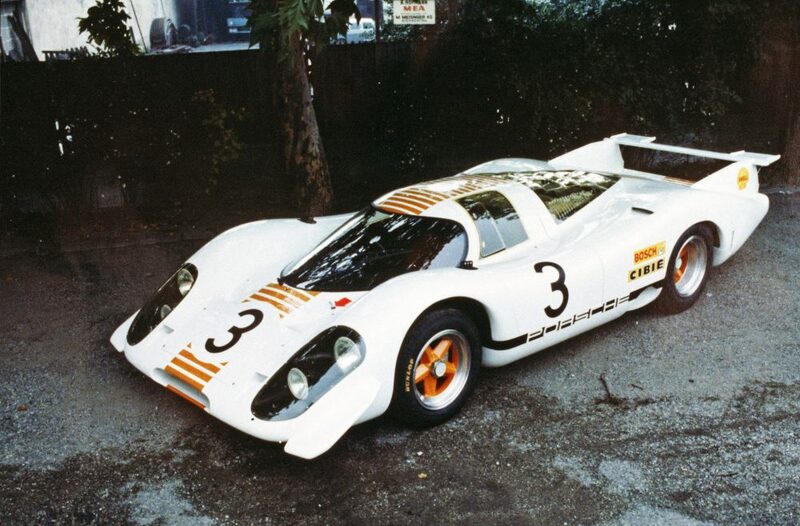 It was repainted in white and orange (below left) for the International Motor Show in Frankfurt the same year and then, when Porsche later announced the transfer of its racing activities to the J.W. 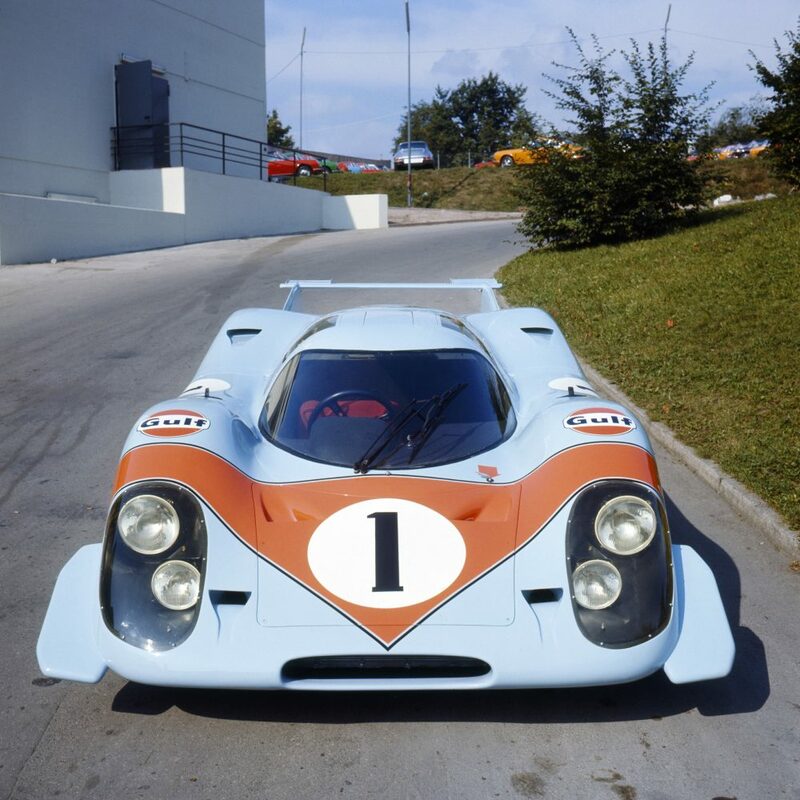 Automotive Engineering team, 917-001 was refinished in the colors of US oil company and sponsor, Gulf (below right): the now-legendary light blue and orange. 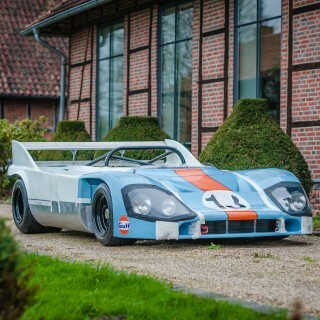 Later still it was reworked as a short-tail version and painted in the livery of the 1970 Le Mans-winning Richard Attwood car. 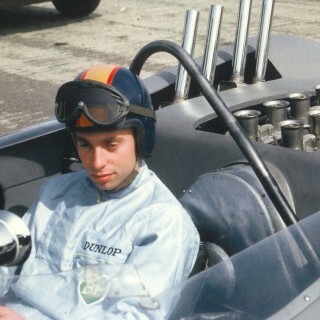 The many changes that had been made to 917-001 made the restoration extra-difficult. 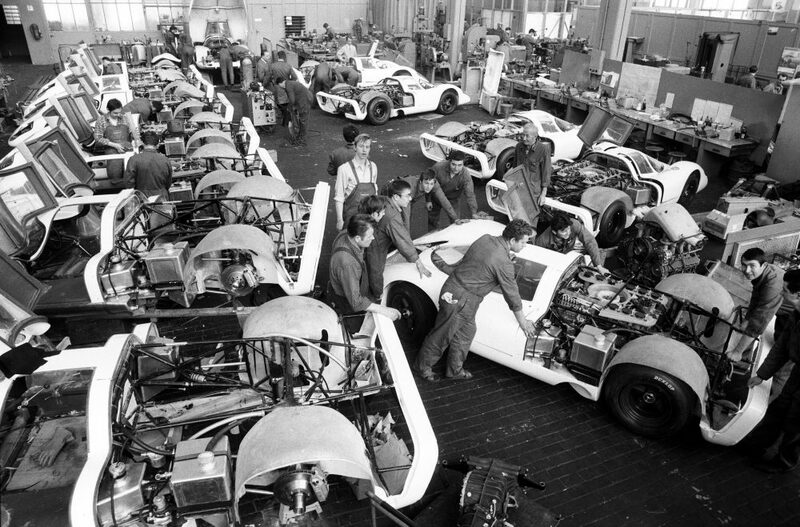 For over a year the museum mechanics, all former technicians and engineers from Zuffenhausen and Weissach, worked with the archives department and partner companies on its restoration, with the priority of the conservation and reuse of the car’s original materials wherever possible. Tests were carried out to determine which of the body materials were original and could be reused, using material analysis and comparison with historical design drawings and photographs. 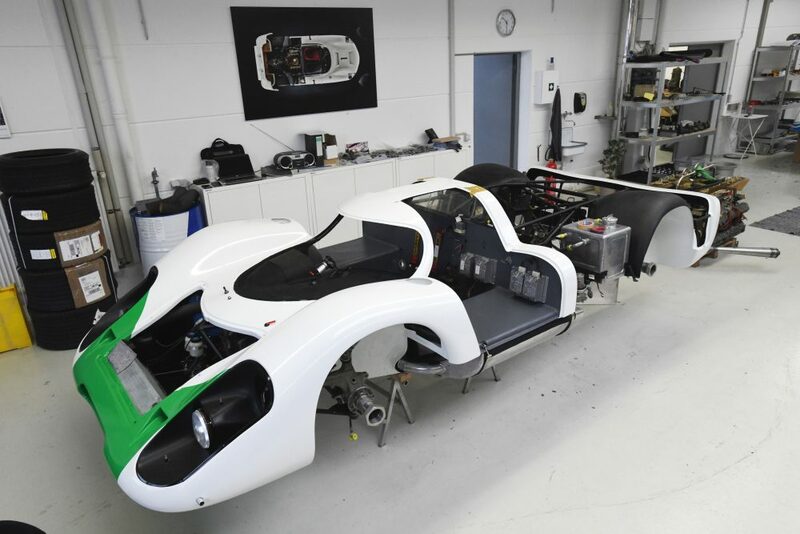 Body parts for the front and rear sections were reproduced using both modern 3D technology and reference to the original design drawings, and the rear section of the aluminium space frame was also restored with the aid of original documents. 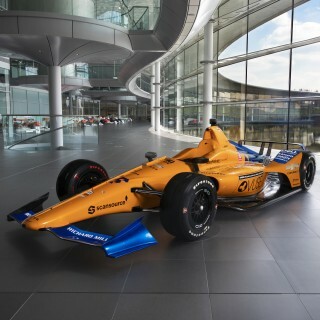 Now it is just as it would have been at Geneva 50 years ago.